Well the snow is melted now but while it was on the ground it provided an interesting glimpse of all that happens in the yard after dark. 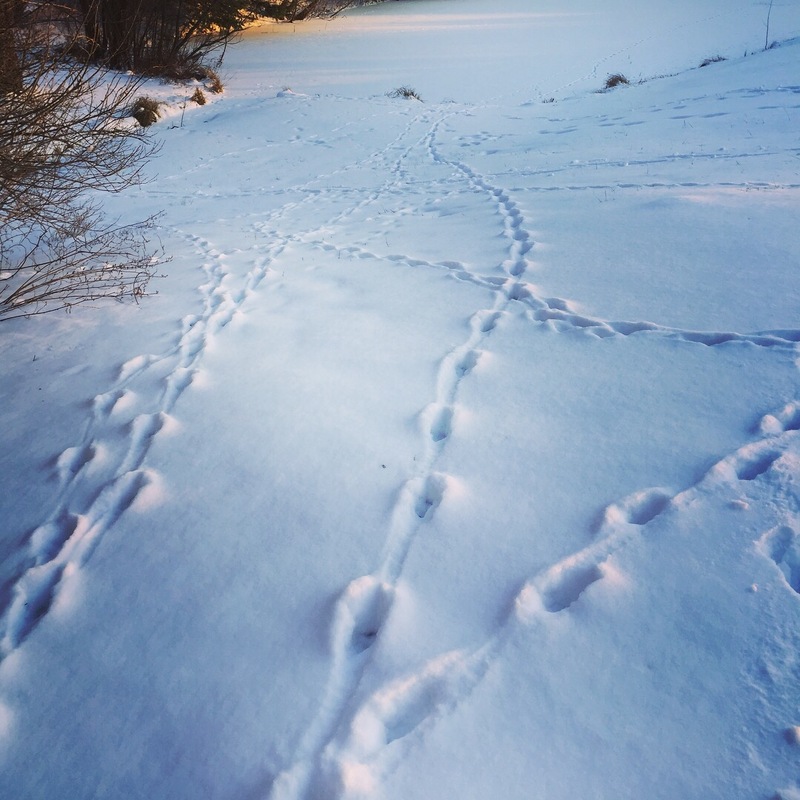 One morning I went out to give the birds fresh water, and I noticed some tracks down on the pond. 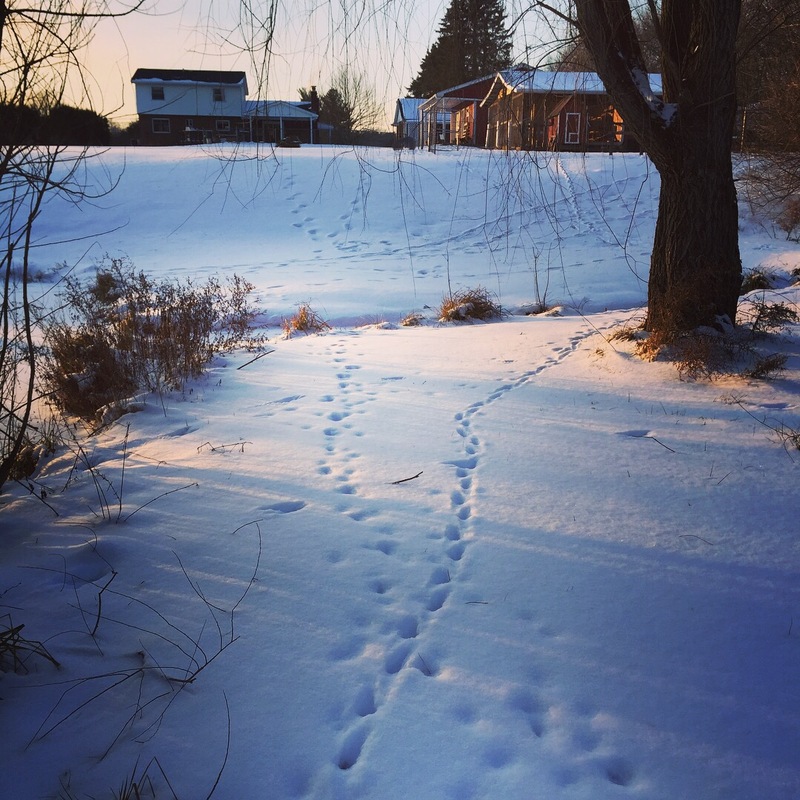 I walked that way to get a closer look, and that’s when I saw that there were tracks absolutely everywhere. 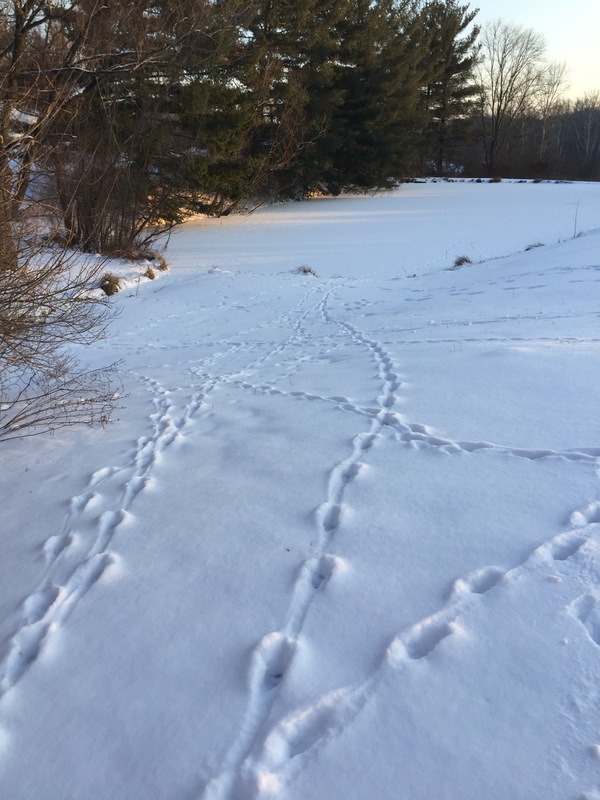 From the looks of it, the coyotes were coming down off the railroad tracks along the side of the fence and down towards the pond or through the backfield. It didn’t look like they had made any attempts to get into the coop. Seemed like they were just passing through and headed down towards the road. I set up the trail cam out along the fence a few weeks ago when we lost our ducks, hoping to track patterns in when the coyotes were passing through. I popped out the memory card and took it in to look at the pictures on the computer. Sure enough it showed coyotes passing by that spot from about midnight until 4 in the morning. 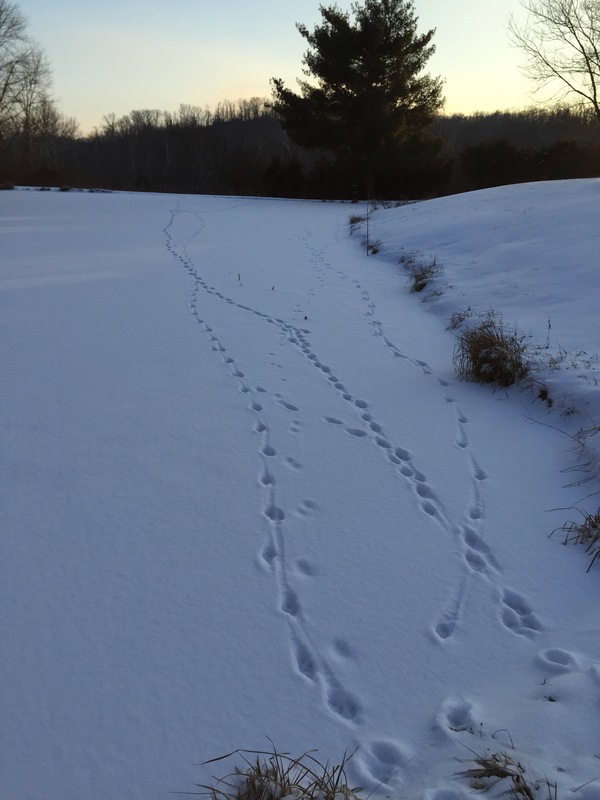 Apparently we live on the coyote super highway. The nice thing about the trail cam is that it can capture pictures day or night. So far we have yet to see any coyotes on it during the day. We know, however, that they do occasionally travel during the day because that’s when we lost our ducks and a few chickens. Spring and it’s accompanying ground thaw can’t get here soon enough. 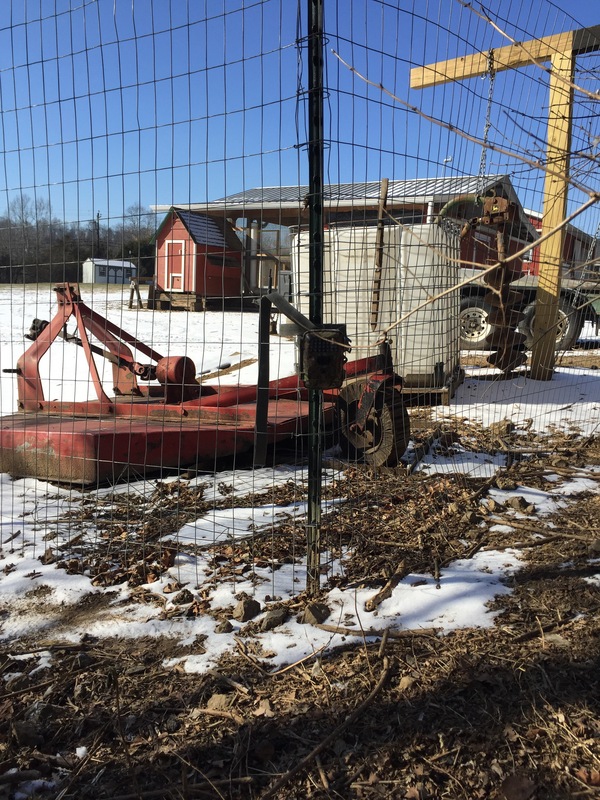 I’m anxious to get our larger taller fence in place as soon as possible.